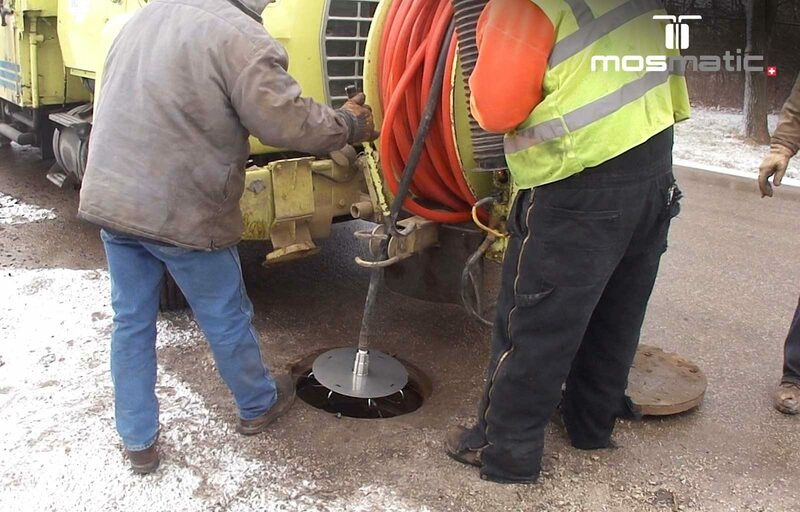 Mosmatic Manhole cleaner, use for vertical shafts or conduits. Easy to use self rotating equipment made for a higher flow rate. Stainless Steel protection plate included. New Upgrade – the protection plates of the manhole cleaners are new equipped with mounted clips. Easier and securer installation. Choose from a variety of sizes.